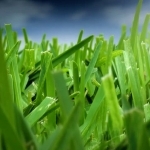 In this slideshow, we'll show you some great tropical plants to add to your landscaping in Texas. Produces large masses of various bright colors. Great for hanging baskets or planters and continues to bloom throughout the summer. Large clusters of blooms in vibrant colors. Very popular shrub with vibrant colors. This blooming vine has various colors in it's blooms and is very fragrant. Flowering vine with bi-colored blooms. 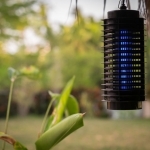 Needs high humidity area, great for indoors or out. Brightly colored tropical shrub with large copper leaves. Fast growing shrub with large dark green foliage. Tropical plants offer bright colored blooms and elegant foliage through the spring and summer months. Tropical plants for North Texas give us the opportunity to enjoy the exotic look of tropical paradise in your own front or backyards. Growing tropical plants can be added to almost any landscape, whether its Hibiscus, Bougainvillea or Mandevilla. Colorful, tropical’s come in many sizes, shapes and colors. 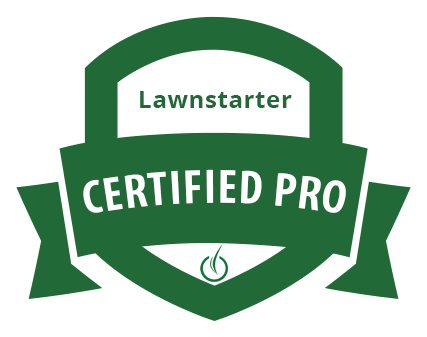 Listed below are a few suggestions that would be ideal for the North Texas spring and summer climates. These tropical plants thrive in full sun, but can do well with some partial shade. Be sure to check with your garden shop or nursery specialist to confirm ideal growing conditions. Let’s begin! 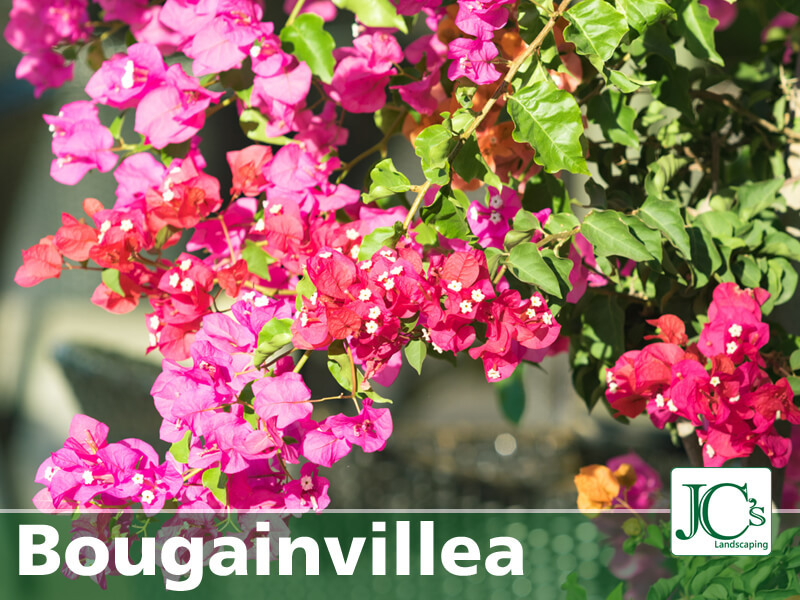 Bougainvilleas: Bougainvilleas require good drainage and lots of sunshine. 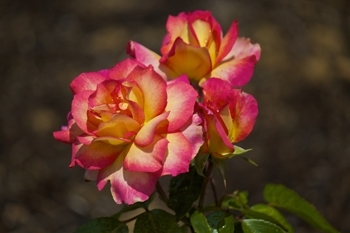 This plant produces large masses of brilliantly colored pink, red, yellow and orange blooms. They can also be attached to trellises, arbors or used in hanging baskets or patio containers for a larger displays of color. Mandevilla: With its bright pink, red or white blooms it’s sure to brighten any patio, porch or garden. Use in hanging baskets, planters or plant directly in the garden. 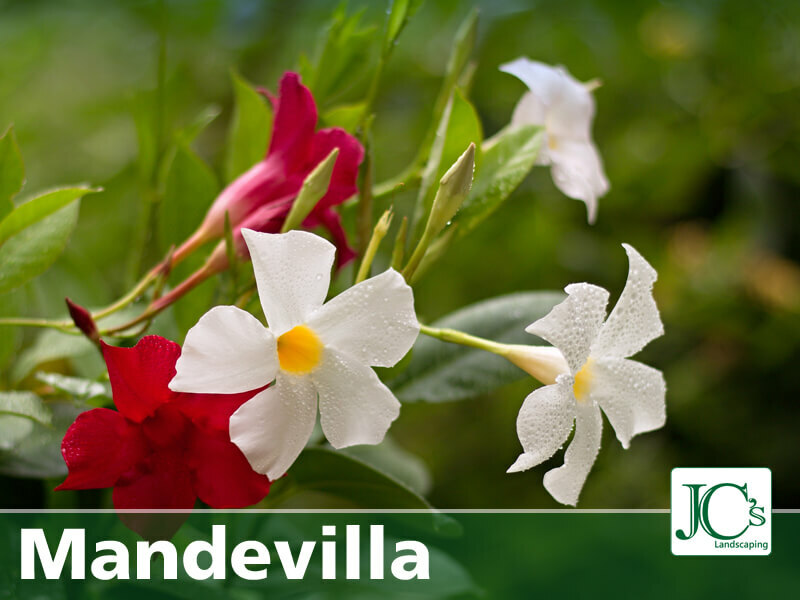 Mandevilla requires at least 4-6 hours of sunlight to continue blooming throughout the summer months. 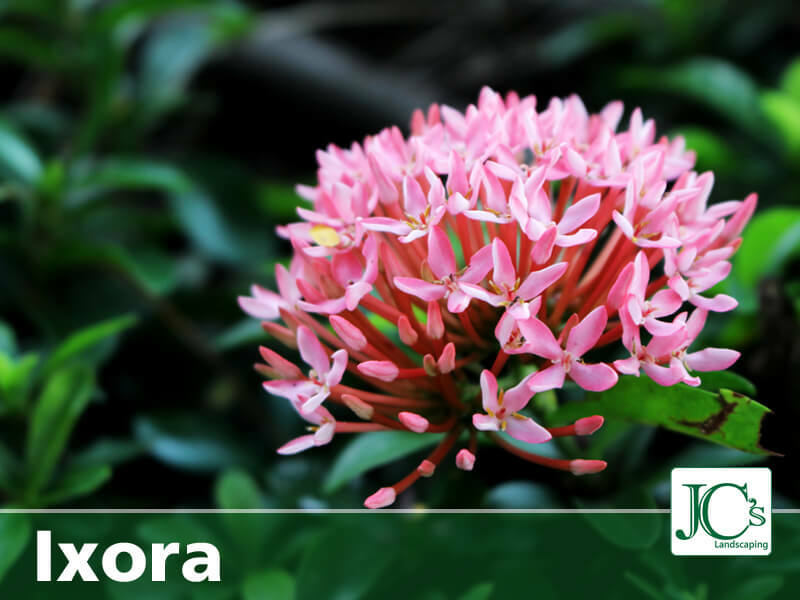 Ixora: Thrives in the sun for maximum color. This tropical plant provides large clusters of blooms in vibrant colors of red, orange and yellow. Keep watered evenly and moist but not soaked. 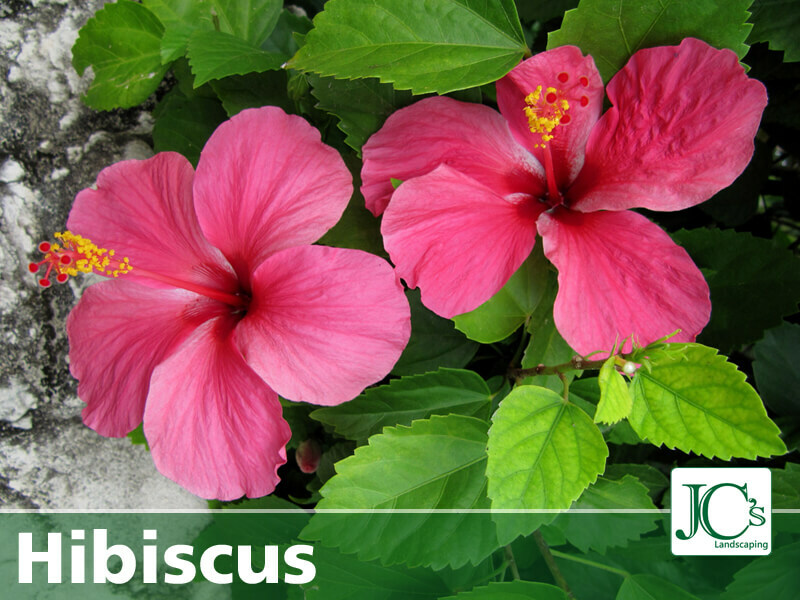 Tropical Hibiscus: Offers a wide array of colors and blooms types including single and double reds, pinks, yellows and oranges. They can also be trained into patio trees, or used as bushes. 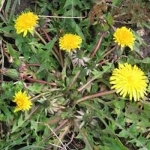 Make sure to keep them moist and for continued blooming throughout the season. 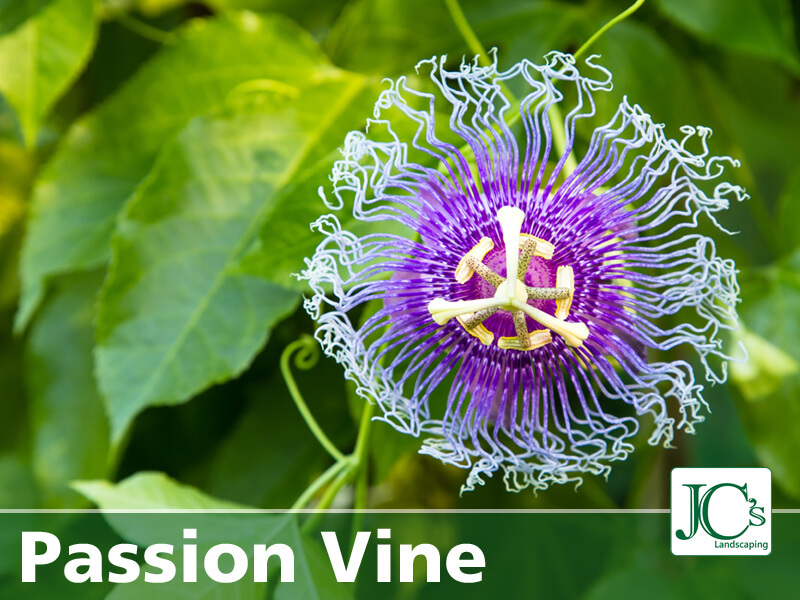 Passion Vine: This Tropical blooming vine has fragrant and unique blooms in shades of blue, violet, purple and more. With is height reaching 20’ tall. Requires good drainage. Water regularly but do not over water. Requires full sun but will perform well in part shade. 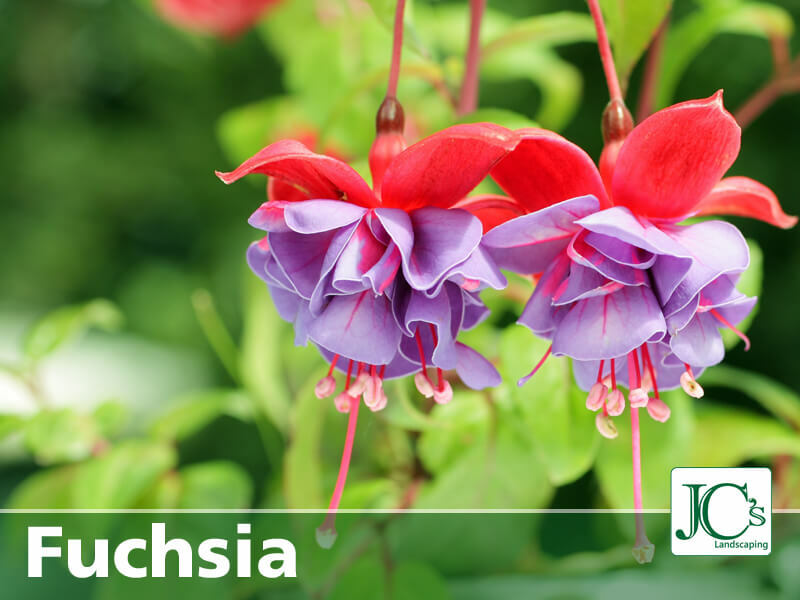 Fuchsia: Tropical vine or bush requires full to part shade for best results. Flowering vines produce beautiful pink, white, purple, or red bi-colored blooms. Grows 18 to 24” tall. 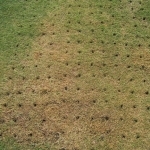 Average water needs, keep evenly moist but do not over water. 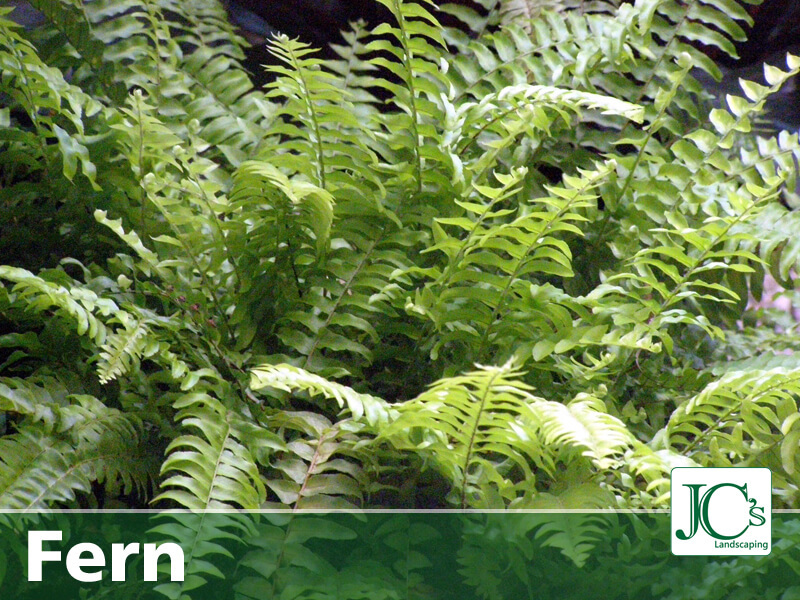 Boston Fern: This may not sound like a tropical plant, but it sure look like a beautiful Tropical Fern, mounding to 2-3’ tall and wide. 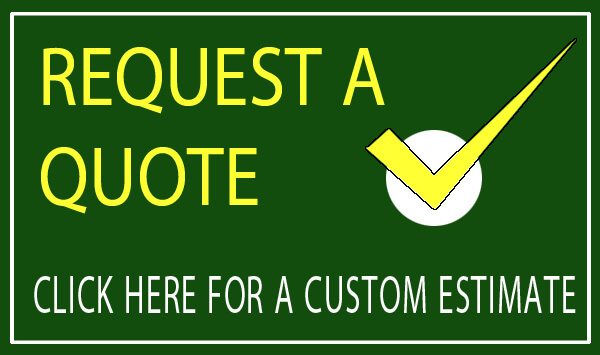 Use in hanging baskets and planters as well as in the garden. Does best in full to part shade. Water and keep evenly moist but not wet. Great in area in areas that have high humidity. 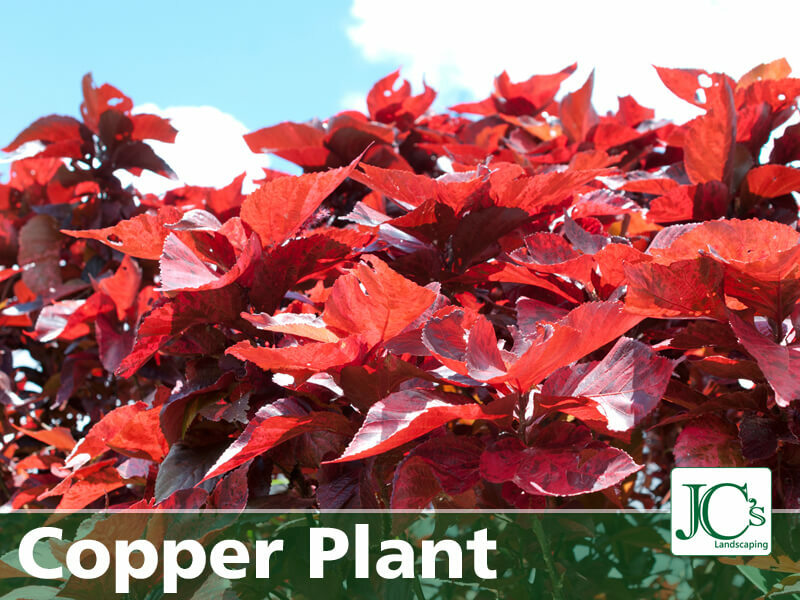 Copper Plant: Grown for its large copper colored leave. This brightly colored Tropical shrub has beautiful copper to red colored foliage throughout the plant. Small inconspicuous pink blooms appear late spring to early summer. Does well in heat and sun. 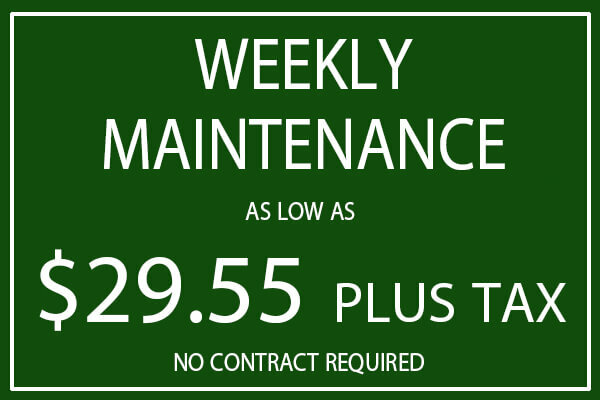 Requires average water, do not over water or allow to dry completely. 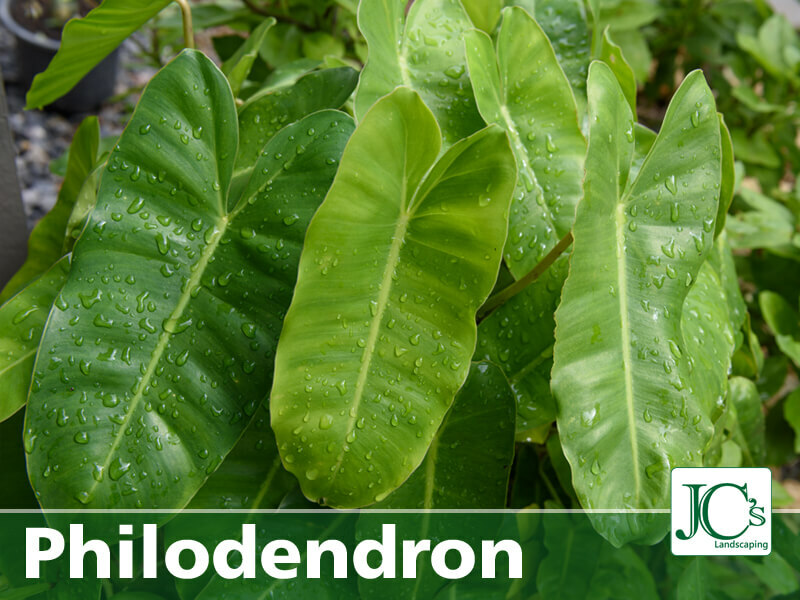 Philodendron: Grown for its beautiful large showy foliage. 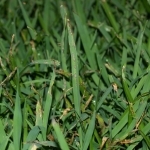 This fast growing shrub has large dark green foliage, growing 12-15’ tall and wide. Requires sun to part shade. Water regularly but do not over water. Your tropical plants can thrive in the summer, but these plants are at risk of surviving extended cold fronts or hard freezes. The DFW area has seen very mild winters recently, but we still get a cold front every now and again. Sometimes precautions must be made to prevent freeze damage to your tropical plants. This is the reason most of the plants are recommended to be grown in large pots to easily move indoors during extreme cold. You can cover plants for short periods of freezing weather. 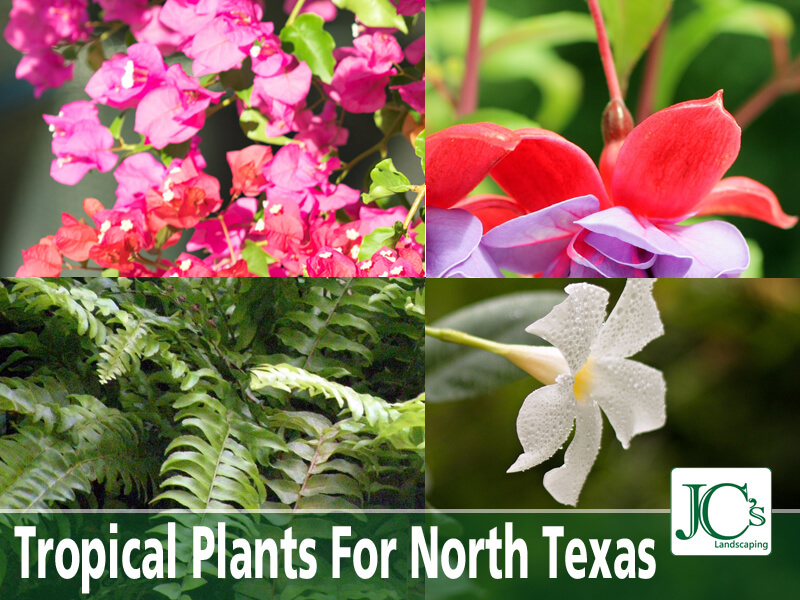 To learn more about Tropical plants and how they are grown in Texas, See Texas A&M’s guide to growing Tropical Plants.